BETTER THAN NEW... SECURE GATED COMMUNITY! Enjoy no rear neighbors with GOLF COURSE VIEW from ''like new'' custom home! 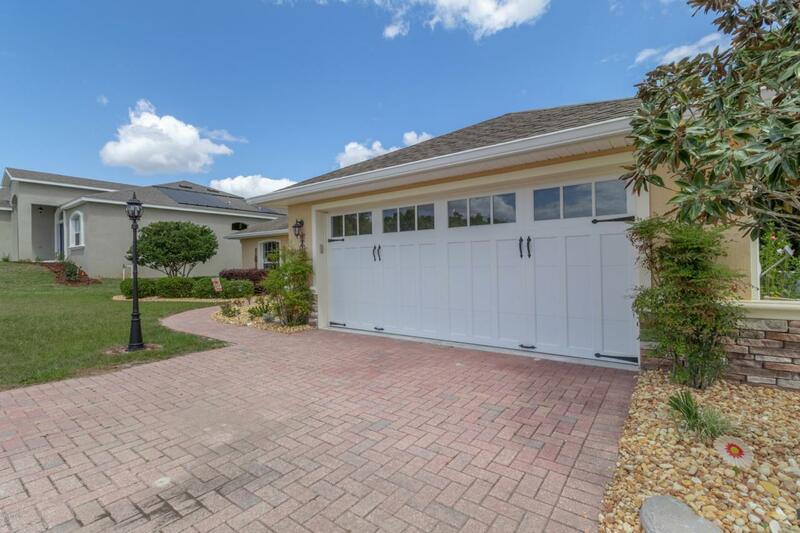 2 Car garage with central heat and air and insulated custom garage door offers a ''barn door'' look. Brick paver driveway. 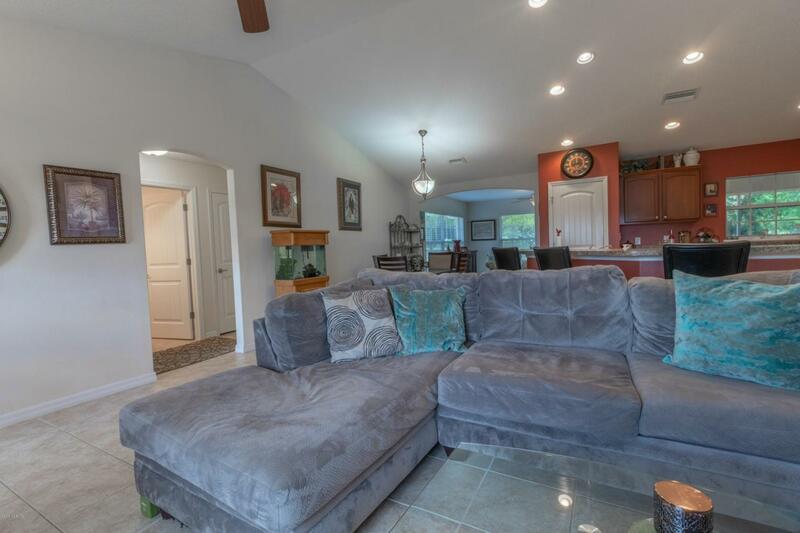 Foyer opens to spacious floor plan with vaulted ceiling, recessed lighting and tile floor. Kitchen has a large island with a breakfast bar overlooking your living and dining room. Sun room offers ''plenty of sunlight'' and relaxing views. Master suite with deep walk in closet, tray ceiling and double french doors with built in blinds leading to covered lanai. Master bath with dual sinks and tiled walk in shower with bench seat. Split plan design for bedrooms 2 and 3 with large wall closets... lots of storage! Guest bath with tub/shower combo. Covered/BETTER THAN NEW... SECURE GATED COMMUNITY! 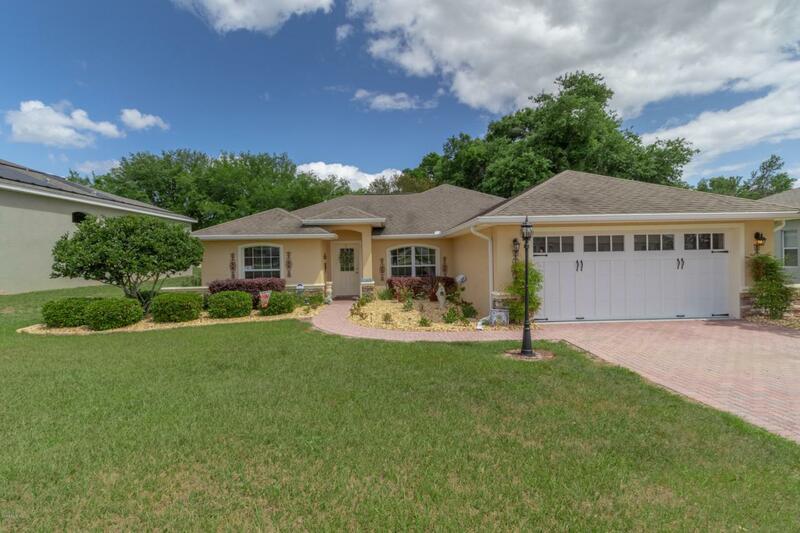 Enjoy no rear neighbors with GOLF COURSE VIEW from "like new" custom home! 2 Car garage with central heat and air and insulated custom garage door offers a "barn door" look. Brick paver driveway. 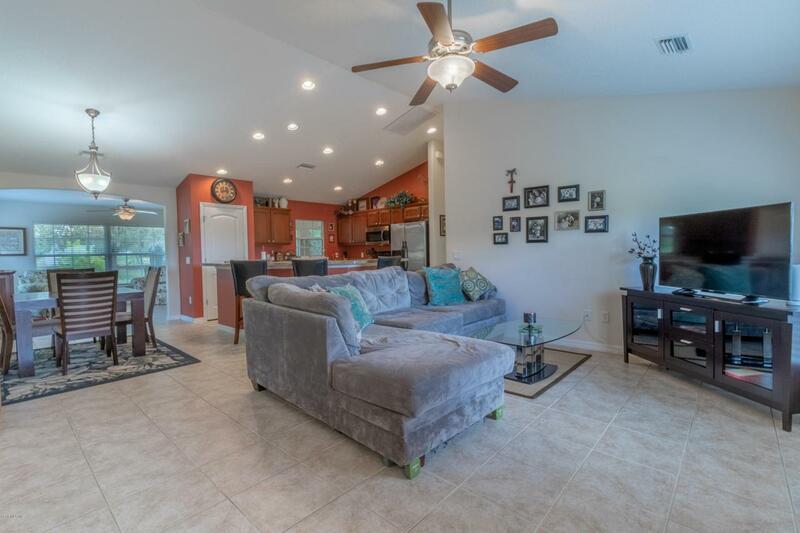 Foyer opens to spacious floor plan with vaulted ceiling, recessed lighting and tile floor. Kitchen has a large island with a breakfast bar overlooking your living and dining room. Sun room offers "plenty of sunlight" and relaxing views. Master suite with deep walk in closet, tray ceiling and double french doors with built in blinds leading to covered lanai. Master bath with dual sinks and tiled walk in shower with bench seat. Split plan design for bedrooms 2 and 3 with large wall closets... lots of storage! Guest bath with tub/shower combo. Covered/screened brick paver lanai could be enclosed for additional living area. Upgrades to include sprinkler system and energy efficient double pane windows. Large backyard with lush lawn, sprinkler system and new landscaping in march 2019 valued at 5k with pavers and rock. Seller added dawn to dusk lamppost for added security along with existing wireless security system. Home features separate water meters for water & sewer/ irrigation. Saves you money! Window treatments convey! Rare opportunity for golf course view.... only lot left with this feature. Large lot room for pool, extended patio and pets to roam. Vinyl fencing allowed. Low, Low, Low HOA FEES.... $250 per year! Close to everything yet PEACEFUL location. MOVE IN READY!